RELATIONSHIPS ARE POWERFUL… …They promote mutual upbuilding. There is no one country or culture that has it all. That is why countries around the globe continually seek diplomatic relations with each other. But what happens when those relations take place in one single country instead? No one can deny one of the most visible changes in the United States of America: The steady growth of its Latino population. Latino immigration is the longest and largest immigrant movement this nation has ever witnessed. It is rapidly transforming the U.S. Some are open to this change yet others are alarmed, suspicious, and even fearful. We see it as an opportunity to fuse the Latino influences into the North American lifestyle enriching both cultures at the same time. WHAT IT ALL MEANS TO YOU AND YOUR COMPANY A successful strategy requires customized and culturally relevant offers or promotions. It is important to know Latino behavior in order to do that. We know our people, the language, the culture and its role, what motivates and resonates with Latino consumers, the values and the trends. 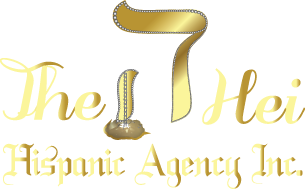 With 15 years of experience, we offer consulting services for the Latino-Hispanic market and create new ideas for your business to get new clients and more revenue. Jump into the market that is growing every single day! Take action and position yourself and your company to reap the rewards of investing and developing an U.S. HISPANIC MARKET STRATEGY.